Wow! I certainly hadn’t thought of giving birth to the Divine Son within me! And yet, I have thought of having the Divine Being within me. So that must be the same. Meister Eckhart just says it differently from how I’ve ever thought of it. But I like being reminded of birthing the Divine – especially during this season. Yes! Thank you for the reminder and this new way of thinking of containing the Divine Presence within. I find myself wanting to say some of the same words that Mary said in “the Magnificat”. Blessed am I among humanity! That in my lowly estate, I should be so chosen to bear the Holy One! I am on an Advent retreat, and this quote by Eckhart was used. I looked it up and found your blog. Lovely! 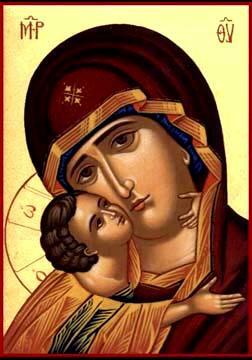 I hope your retreat was blessed and opened a space within you to give birth to God in your time and culture. I am grateful for and encouraged by Eckhart’s words and challenge. Sorry that I didn’t see your reply until now. The retreat was really wonderful and timely. Of course, the busy schedule is back . . .
what sermon is this from? I am looking for the complete piece. Unfortunately, I do not know. I have also tried to find it. I find the quotation frequently but no citation, only attribution to a sermon of Eckhart. I am sorry I cannot be of more assistance. Let me know if your find a source. Previous Previous post: How Big is the Church?